As businesses become increasingly dependent on information technology, application availability is increasingly critical. Each application has its own requirements, service levels and protection options and processes, policies, and procedures must be put in place to restore critical operations for the resumption of business. Availability and recovery options vary depending on the criticality of the service provided and are generally described by two factors: the recovery time objective (RTO) and recovery point objective (RPO). With our remote office support and emergency IT support services, your business will be fully insured of any kind of malfunctioning… Any IT or hardware related issue that your office workers may face, will be easily resolved by our seasoned support consultants! 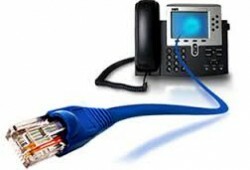 Our VoIP is state-of-the-art with all the features, phones, and quality service for our customers! CAM Consultants is able to provide WiFi networks that are easy to scale from small networks to large sites and to even thousands of locations all through a single cloud-based dashboard. CAM Consultants is here to provide efficient quality internet services at a reasonable price. Pick from our variety of options that will best fit you and your business. CAM Consultants is an IT, Accounting, and Marketing solution provider, focused on small to mid-size commercial businesses. Since 2007 we have helped customers design and deploy their business solutions that are highly available, scalable, efficient and easier to manage. We help customers optimize or transform their IT infrastructure and Accounting to reduce cost, increase efficiency and more effectively address business or regulatory demands. Our #1 aspiration is customer satisfaction. We dedicate ourselves to ensure that every job is done properly and to meet our client’s expectations.